Join us for our festive gin tasting and you will be in for a treat. Enjoy 6 different gins, some of which will be limited edition gins with a festive twist. Freshly prepared nibbles will be provided by our Head Chef Andre. Thursday Gin Tastings start at 7pm and finish around 9.30pm. Friday Gin Tastings start at 6pm and finish around 8.30pm. 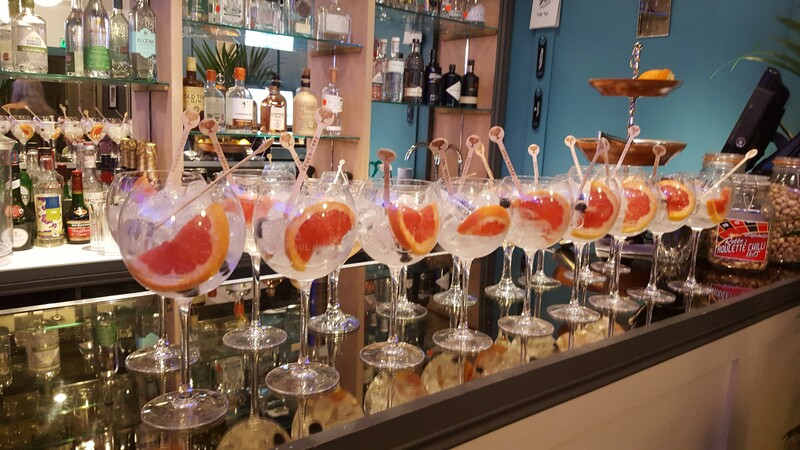 The gin emporium will be open after the tastings if you wish to sample some more of the 60+ gins we have on offer.